Kevlar fabric for rigid and soft body armor protective applications. 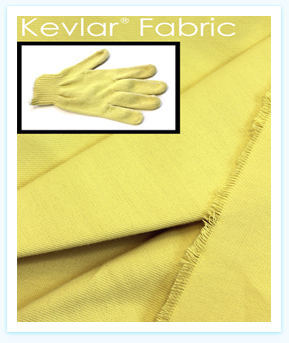 The type of Kevlar fiber Cloth used for protective applications is Kevlar 29. Kevlar fabric for protective applications is used primarily by the military and law enforcement agencies for bullet resistant vests and helmets. The military has found that helmets reinforced with Kevlar offer 25-40% better fragmentation resistance than comparable steel helmets while providing better fit and greater comfort. Bullet resistant vests using Kevlar cloth have saved thousands of police officers and military personnel in the line of duty. Kevlar fabric also offers excellent thermal protection in items such as gloves and boots since it can withstand extreme heat and is inherently flame resistant.